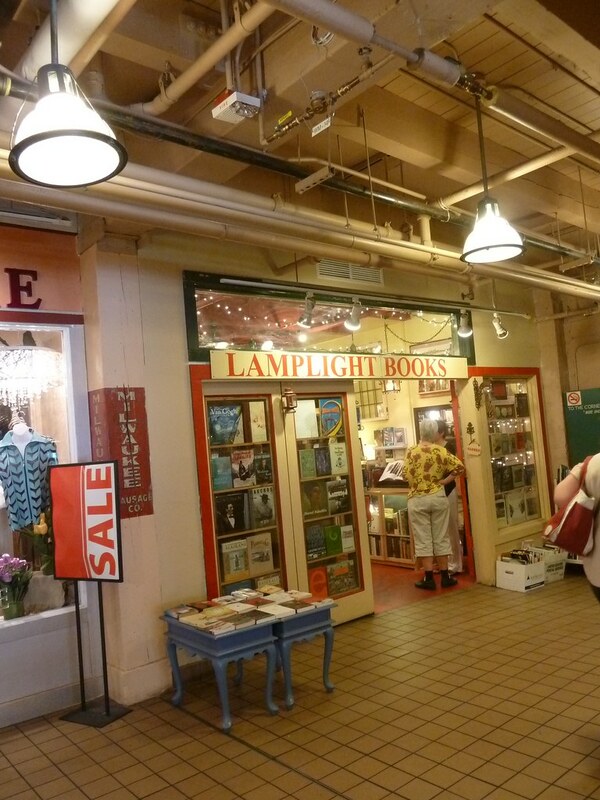 It is always exciting to arrive at a city new to you and specially when that city is remowned for its bookshops. 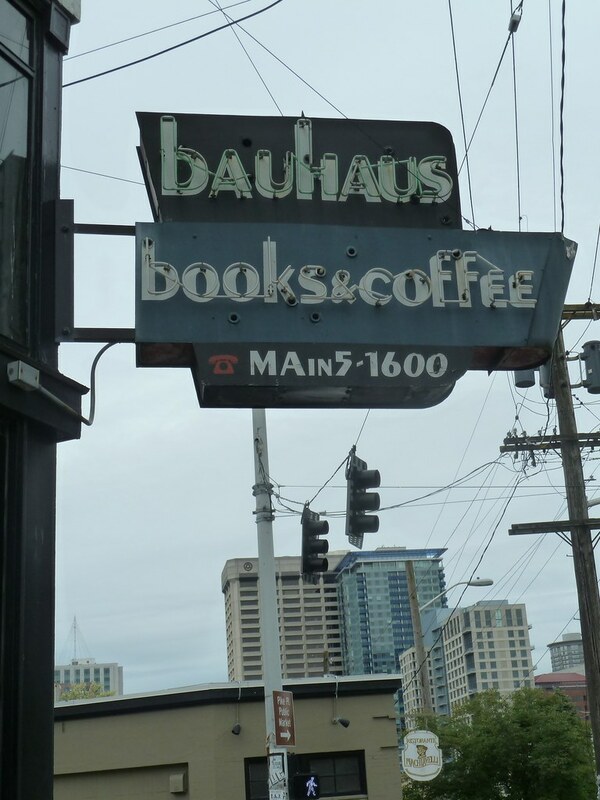 In the case of Seattle we were forewarned that this city of half a million or so reads more books per head than any other US city. So we expected something extra. 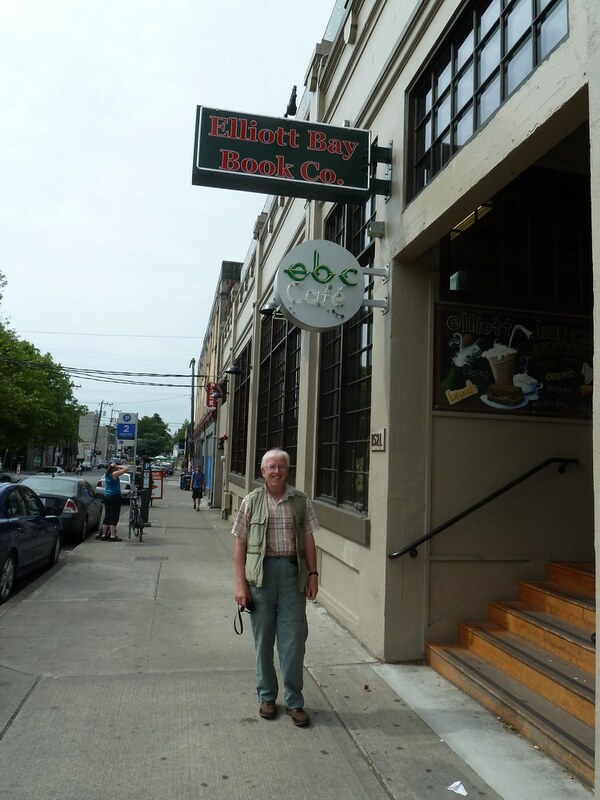 Our day in Seattle began at the excellent Elliott Bay Book Company, a mile walk from Downtown on 10th Avenue. 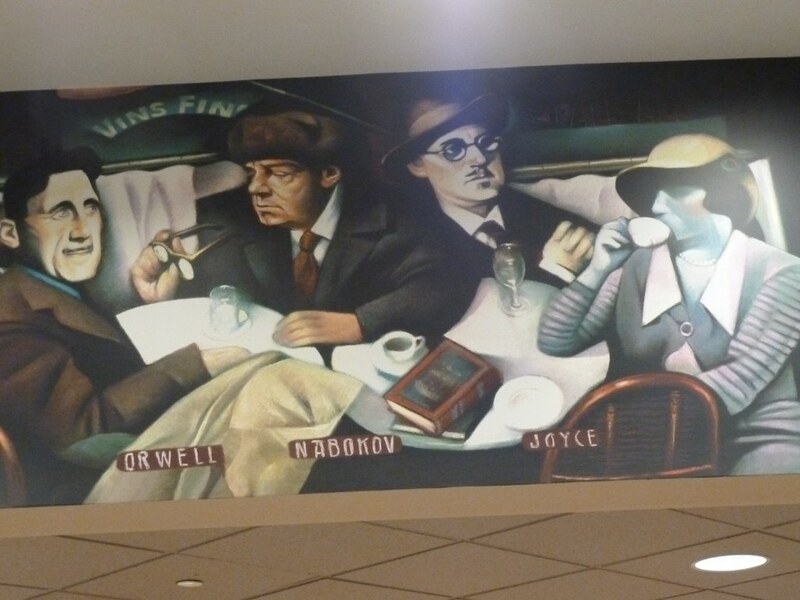 This is a large new bookstore, logically arranged on two floors and, as expected, with its own cafe. Purchases here included Joe Sacco's graphic novel about his stay in Bosnia during the 90's conflict "Safe Area Gorazde" and a bibliomystery "The Dewey Decimal System" by Nathan Larson. 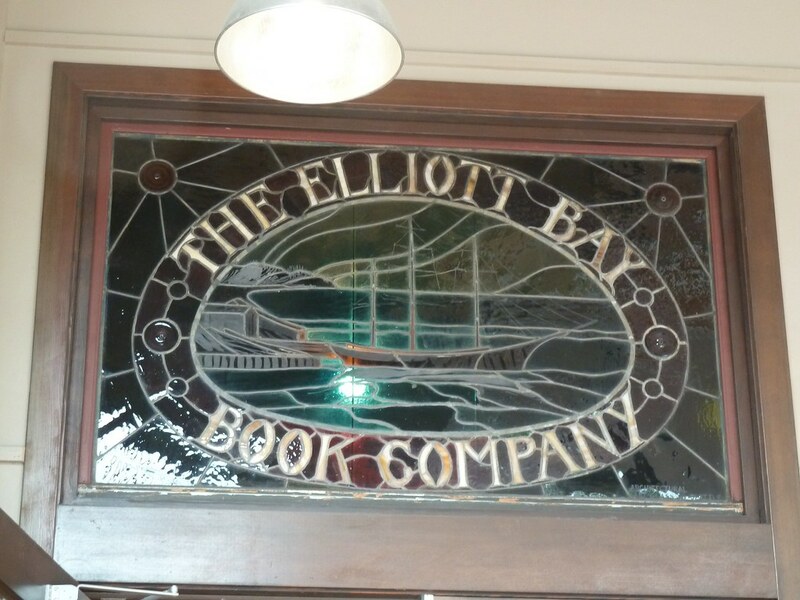 The Elliott Bay Company have a used book store but time did not allow for that. 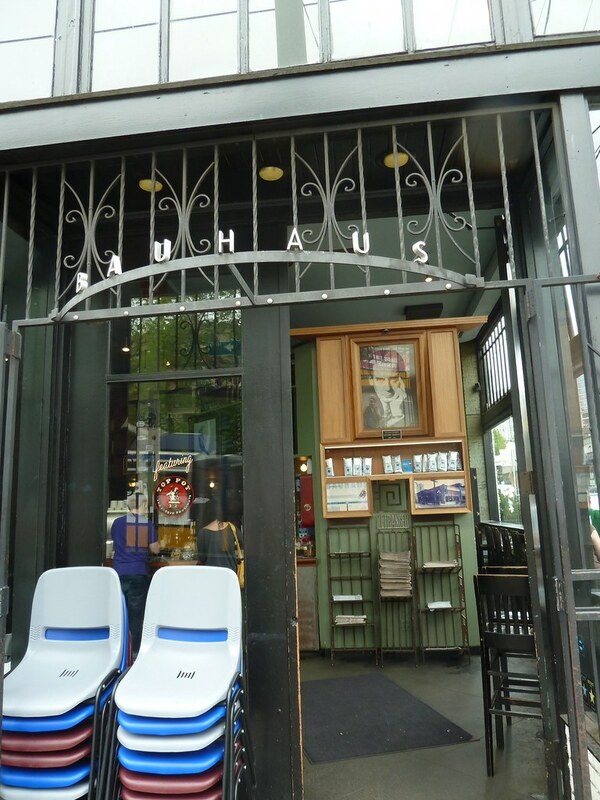 Walking down Pine Street to Downtown, there were several cafes, including the atmospheric Bauhaus. Pike Place Market seems to be the spiritual heart of Seattle; here, just above the waterfront, are shops of all descriptions, incuding several bookshops. 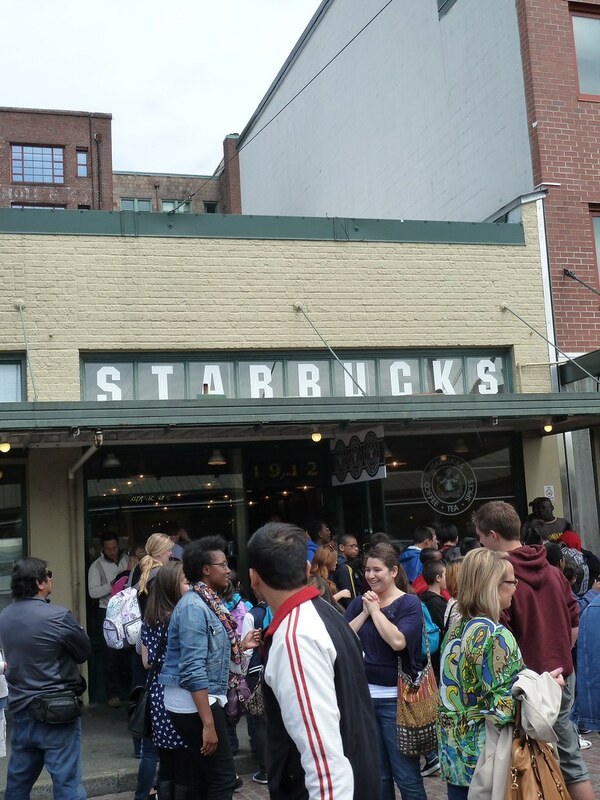 Before launching on these we savoured the original Starbuck's, opened here in 1971. 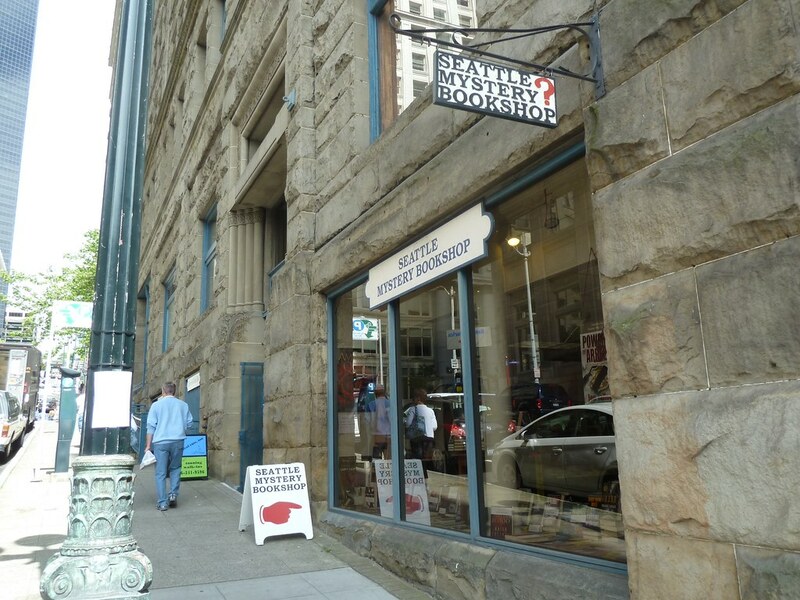 On the way to Pioneer Square, historic centre of Seattle, who could miss the amazing Seattle Mystery Bookshop, a very large store entirely devoted to mystery and crime. Here the staff were very knowledgeable and the store even had a separate bibliomystery section (one of my favourite genres). Here I added Rex Stout's "Death by the Book" to the day's purchases. 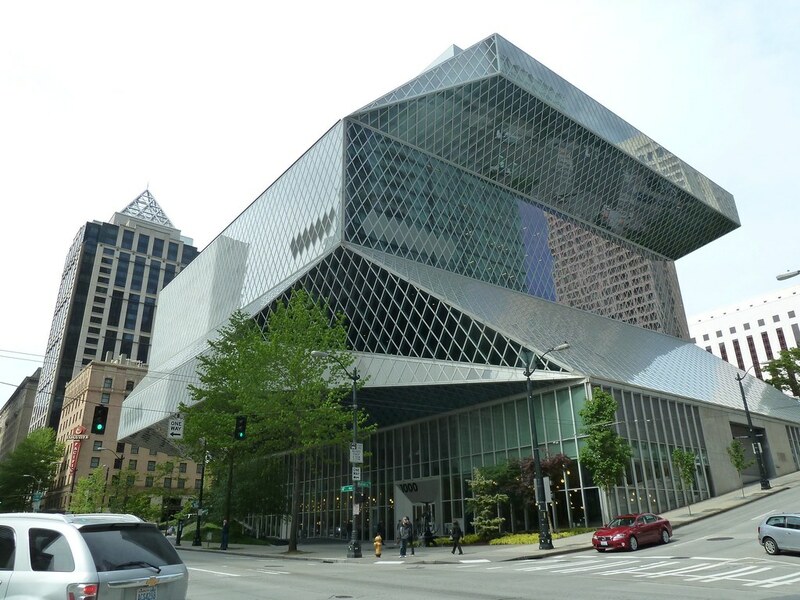 There is so much in Seattle, but confining myself to literary matters, we noted the imposing newly built Public Library. 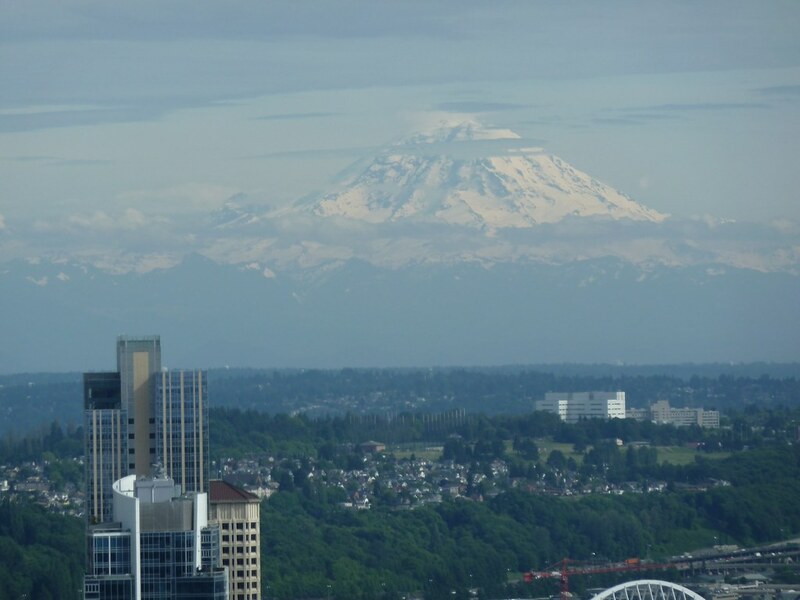 And, finally, the astonishing view of Mount Rainier (14,400 feet high) to the south, seen from the top of the Space Needle as the evening sun was dispersing the clouds which had lingered most of the day. 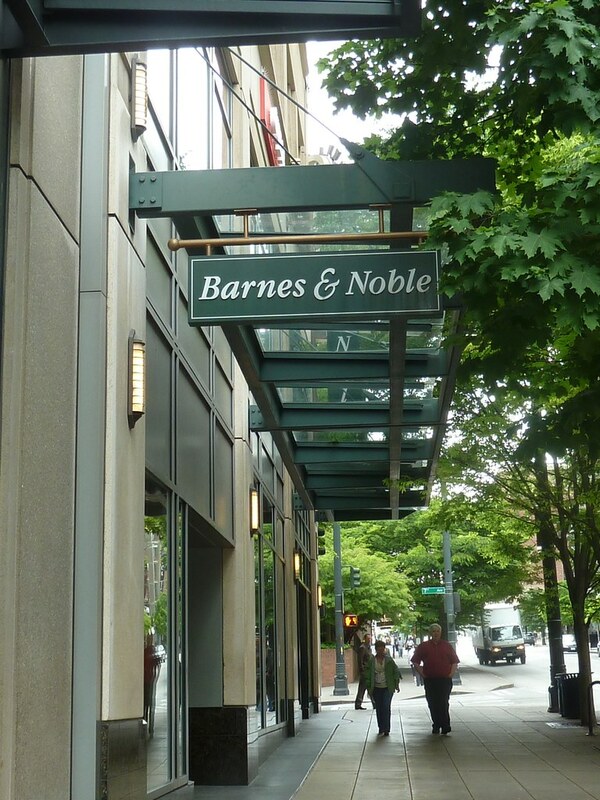 Beyond Mount Rainier lies Oregon, home of Portland, where the legendary Powell's Bookstore awaits, but that is very much another day.